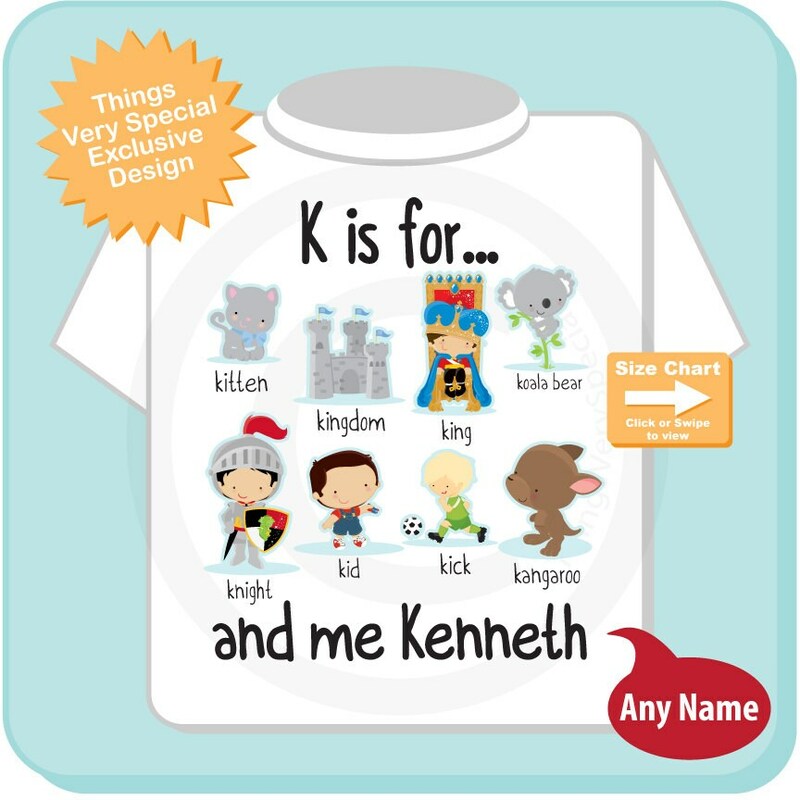 If your little boy is learning his A-B-Cs this cute little shirt with lots of things that start with K is very fun. Especially if his name starts with K as well. 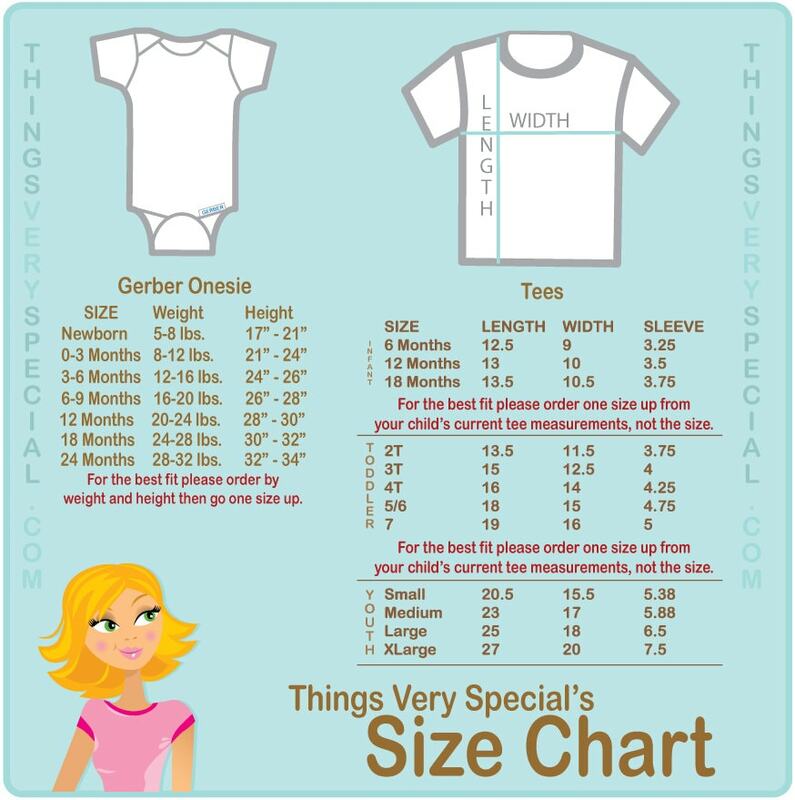 This design can be printed without the name line for any child. If you'd like a different letter done please contact me. Name of the child that starts with K. If not then the line "and me Kenneth" will be removed.